For a bit of modern style in your bathroom, choose this beautiful vanity. The good-looking white acrylic counter and beige tan fiberboard base make a big difference in your bathroom. Redo the style of your bathroom with this classic from Fresca. Add this vanity to your bathroom for more traditional style in your home. Its comes with a nice beige tan marble counter and white solid wood base for strength and style. 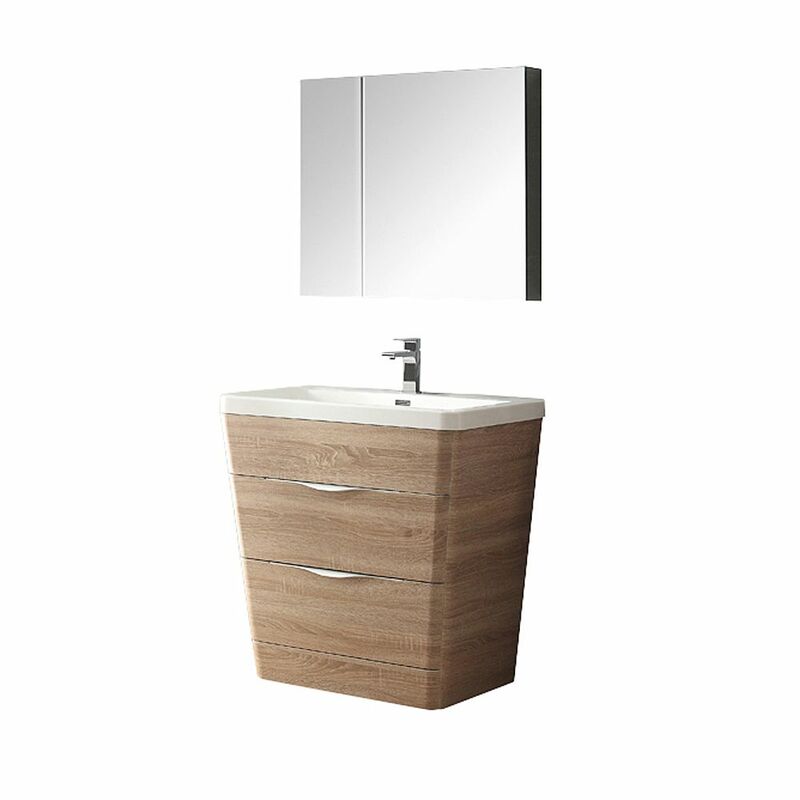 Add a classic feel to your bathroom with this simple vanity set from Avanity. Milano 31-inch W 2-Drawer Freestanding Vanity in Beige Tan With Acrylic Top in White With Faucet For a bit of modern style in your bathroom, choose this beautiful vanity. The good-looking white acrylic counter and beige tan fiberboard base make a big difference in your bathroom. Redo the style of your bathroom with this classic from Fresca. Milano 31-inch W 2-Drawer Freestanding Vanity in Beige Tan With Acrylic Top in White With Faucet is rated 5.0 out of 5 by 1. Rated 5 out of 5 by Pboy from Beautiful vanity! Love the color (picture online is accurate), the sink, and the cool chrome fauc... Beautiful vanity! Love the color (picture online is accurate), the sink, and the cool chrome faucet. We haven't anchored it in place, yet, so we don't know if all parts will fit (e.g., the sink top hasn't been lowered onto the base). If all goes well during assembly, it was well worth the price, as it is much nicer than anything we could find in the big stores. I must admit that the cabinet finish has a plastic feel and shine, but it is attractive nonetheless.